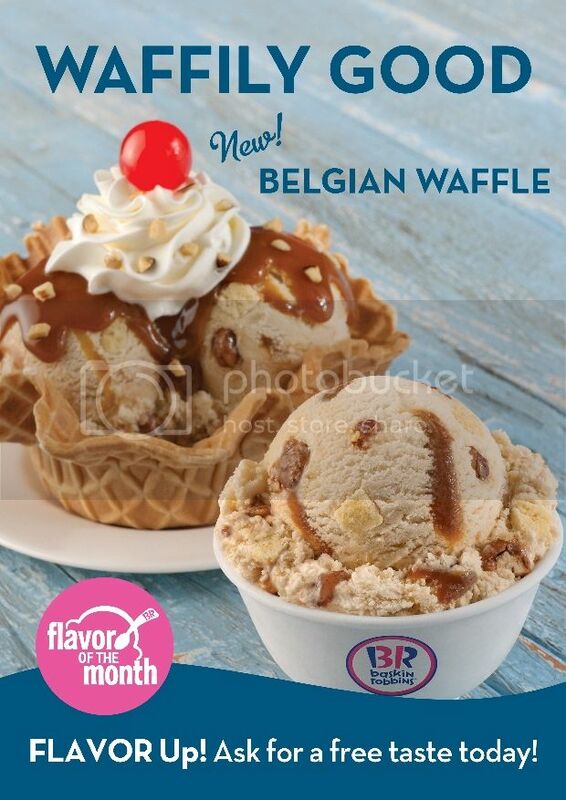 Baskin-Robbins’ flavour of the month is truly waffily good as it melds maple praline flavored ice cream with Belgian waffle pieces, praline pecans and a creme caramel ribbon. It has the authentic taste and texture of a real belgian waffle and is best paired with the classic Baskin-Robbins ice cream flavor, Pralines ‘n Cream. For the whole month of March, ice cream lovers can indulge in this luscious frozen treat from Baskin-Robbins in a cone, cup, or as a milkshake. It can also be relished as a 2-Scoop Sundae by mixing two scoops of Belgian Waffle Ice Cream, topped with Caramel Praline sauce, whipped cream, almonds and a cherry, served in a freshly baked waffle bowl or cup. Get a taste of this limited edition delicious ice cream flavor by visiting Baskin-Robbins shops at the Central Square and SM Aura in Bonifacio Global City; Greenbelt 5 and Glorietta 5 in Makati; Fairview Terraces and Trinoma Mall in Quezon City; SM Southmall in Las Pinas; and Solenad in Sta Rosa, Laguna.